It gives a calming effect to the mind and is mostly taken by people who suffer from a nervous breakdown in public. Research has also shown that it has the capacity of stopping cancer from spreading. It helps in relieving pain and is known to slow down the attack of Alzheimer’s disease. THC is popular for treating inflammatory bowel problem. According to National Eye Institute, cannabis helps in reducing the Intraocular Pressure (IOP). This prevents spreading of glaucoma and safeguards from blindness. These are few of the benefits that one can achieve from using cannabis in a proper manner. But it is equally important for you to know that which types of seeds will help to harness its medicinal value to the full extent. Read on to know further details about its types and storage details. 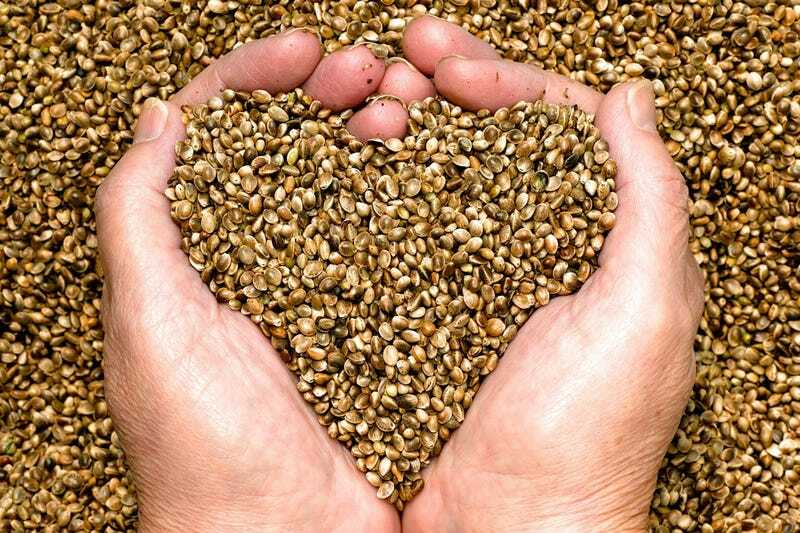 What are the different types of weed seeds available? i. Regular seeds: This can be both male and female. ii. Feminized seeds: This one is more preferred as it will give better plants, as they bear flowers. Moreover, female plants have a higher level of CBD, THC and CBN contain. This is why, before one should buy seeds, they should get it checked, whether they are female plants or not. Some of the best-feminized seeds are Yellow Lemon Haze, Amnesia Haze, Afghan Skunk. These require a bit more attention because if they are not grown properly, it will just turn into complete waste. If you are opting for this, then try the process of two plate germination. (For more details of this process, you should check online. Another thing, if you are a first time user, it is best to gain some experience first and then opt for these seeds). These are feminized weed seeds, which will start flowering within 7-10 weeks of planting. These have high CBD contain and gives high-quality produce. Some of the best auto-flowering seeds are AK 47 Auto, Low Rider Auto, and Amnesia Haze Auto. How to know if pot seeds are good or not? Healthy seeds are dark in color. It will vary from brown, black to grey. Try to avoid white and green seeds as they are not very likely to grow. A good seed will have proper a thin layer of waxy coat and will have a light shine on it. You can check by giving the seed some squeeze. A good seed will never break or crack. A good seed will have no cracks on them. These are points you should check before getting these planting seeds. There is another method of checking if the seeds are healthy or not. Take a cup of warm water (make sure it’s not too hot) and drop a few seeds into the cup. Next is that you have to wait for some time. If the seeds sink then, the batch is good to go, but if they float, then they are probably dead. Tip: you can try this with any seed as water won’t do any harm to these. How to store Cannabis seeds properly? Put them in an airtight container and then store in the fridge. If you are keeping it in the room, make sure that the place is dark and a bit cool. Always use a clean container to store the seeds. Why use air tight container? This is to avoid accumulation of moisture on the seeds. Too much moisture can make the seed go bad before germinating. Where to get Feminized cannabis seeds for sale? Always go for authentic sites. Otherwise, if you are thinking of just budgeting and comparing products based on low price, there is no guarantee of the product’s quality. With all these information, you are now good to go and start your plantation soon. Happy farming!